The Fukushima Daiichi site is still a harsh reminder of the disaster that has been unfolding over the last year, everything on site appears broken, shattered, and scattered. 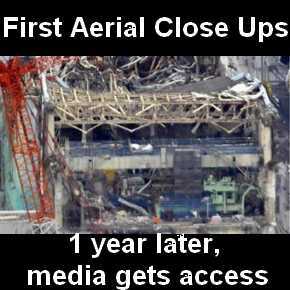 Japanese press shot footage around 4 kilometers from the plant at an altitude of some 700 meters on Sunday for the first time , the highest reported radiation levels by the pilots in the cabin was 1.4 micro sievert per hour. 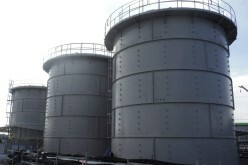 On the west side of Unit 4 approximately 1,000 blue and gray storage tanks installed after the accident are installed to store contaminated water. 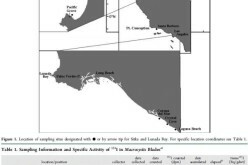 There are at least a dozen nuclear ghost towns and villages around the Fukushima Daiichi complex where time seems to have stood still, there are no inhabitants within visibility, there are still no specific standards on radiation levels for the designation of no-fly zones, and estimates show that decontamination work will also have to remove enough radioactive soil to fill 23 baseball stadiums. 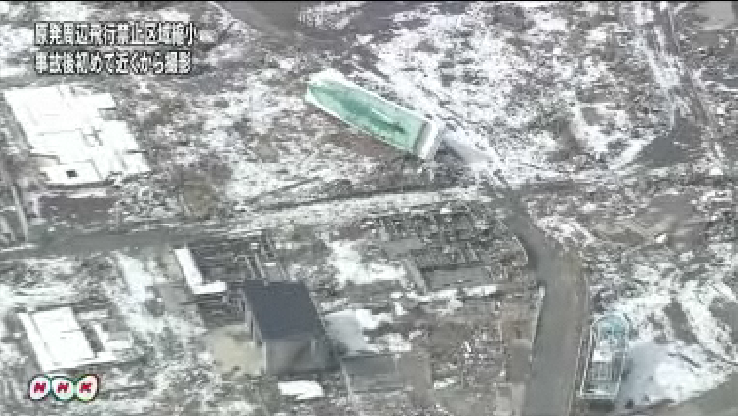 From the air, NHK confirmed that the No. 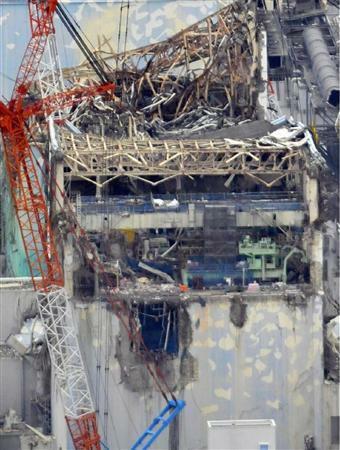 3 reactor building is bent and squashed, and could identify the exposed steel containment structure, which appeared distorted by a hydrogen explosion. 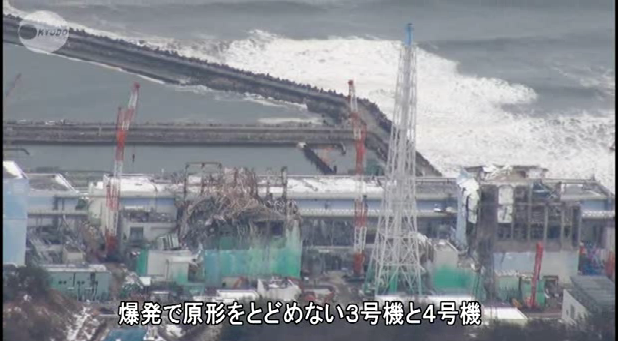 The NHK report’s description of the steel structure illustrates just how powerful the explosion was, in that it deformed steel so far away from the containment, and through so much free volume of air. 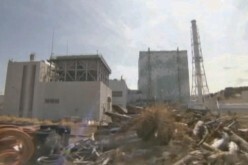 Workers in white and yellow protective gear were seen walking on the upper operating floors of the Reactor 4 building. 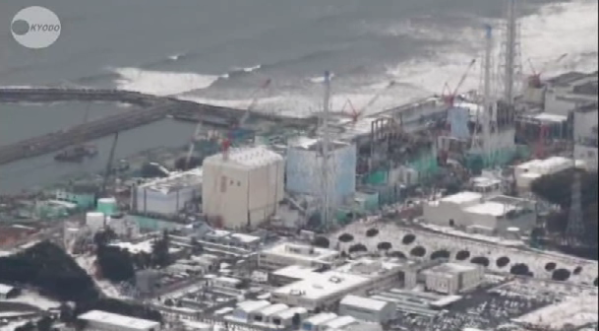 At a port used by the plant, some 10 workers wearing white protective suits were on a crane vessel working to cover the seabed with cement to block radioactive substances from spreading offshore. 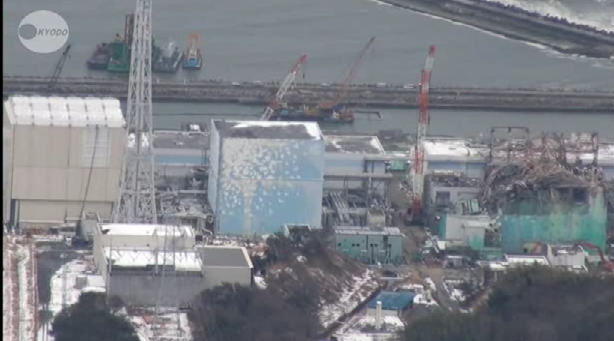 The land ministry decided to scale back the no-fly zone from the 20-kilometer radius as it calculated that aerial radioactive readings around the plant had dropped to a safe level. 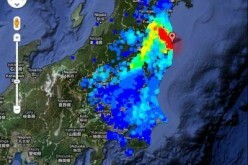 The 3-kilometer radius took effect on Saturday. 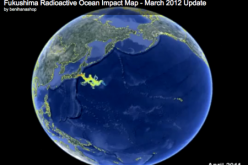 Iitate is 35 kilometres northwest of Fukushima Dai-ichi, the residents of the village were caught in the path of dangerous winds that carried radioactive particles, including plutonium, much farther than anyone had initially expected, leaving several spots showed radiation levels exceeding those at the Fukushima Daiichi main compound.